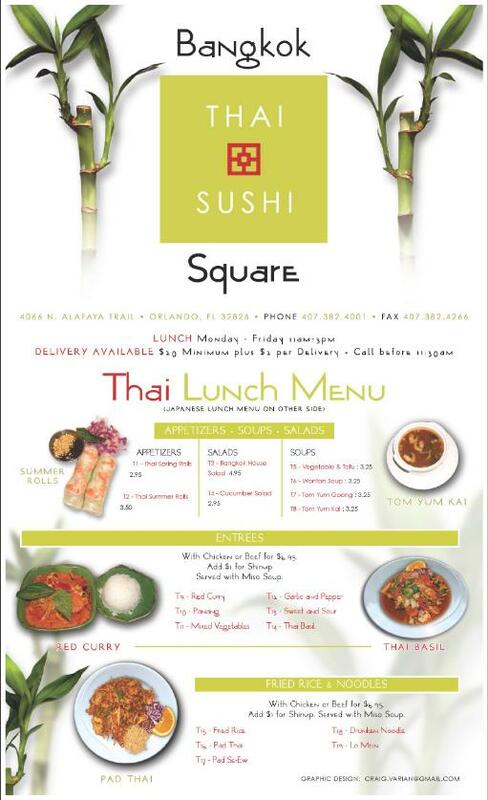 This menu design I did about five years ago for Bangkok Square - an awesome Thai and Sushi restaurant in Orlando, FL - is another example of text-heavy design work (For more samples of text-heavy work, visit the Global Ascent Consulting page here, The Spanish Riding School page here, and the Lipizzaner Stallions page here). All graphic elements were rendered in Photoshop and the text was done in Quark. Oh, and the bamboo was taken out of vases from around our house and scanned on my flatbed scanner. 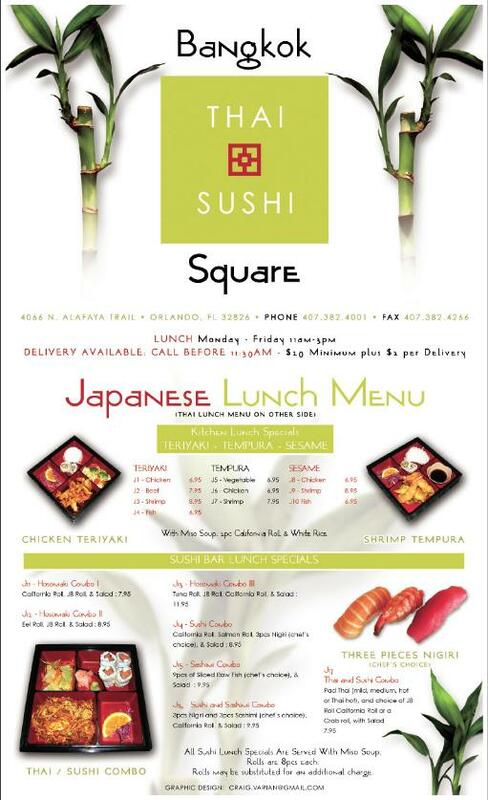 BELOW: For the actual hard copies that they are using at Bangkok Square, the lunch menu is a two-sided single sheet (with the Thai design on one side and Japanese on the other) that has been heavily laminated to withstand the daily wear-and-tear of restaurant life. 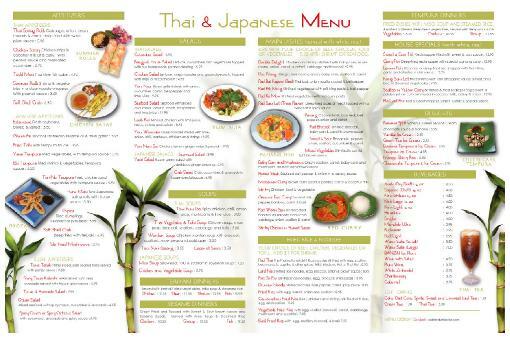 BELOW: The dinner menu also doubles as their take-out menu, and was printed as a quad-fold on an 11x17 sheet. 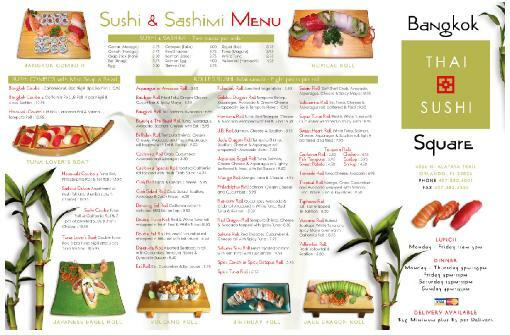 Click here to download high-quality PDFs of these menus. Please keep in mind that prices are subject to change, food is subject to availability, and that a 15% gratuity is added to parties of 6 or more... (sound of crickets) ...I'll be here all week, folks.